Request POMEN to help you in car breakdown, tyre punctured, battery problem, jumpstart your car, service and maintain you car like new. Get POMEN is now easy! We simplified it for you! When we started sketching our apps and create a flow on how to use it, we make sure it is as simple as A,B,C. Only for one reason, because why make it is hard when you are already in trouble with your car right? 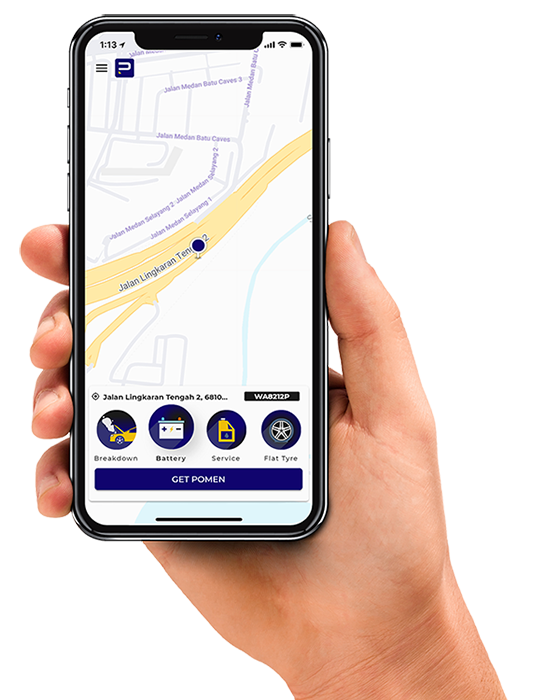 Do not worry as how it works as we have tested it thousands of time with selected workshop in Klang Valley before we published it to you for used. This is before the POMEN App Install now on your phone. Request POMEN to help you in car breakdown, tyre punctured, battery problem, jumpstart your car, service and maintain you car like new. 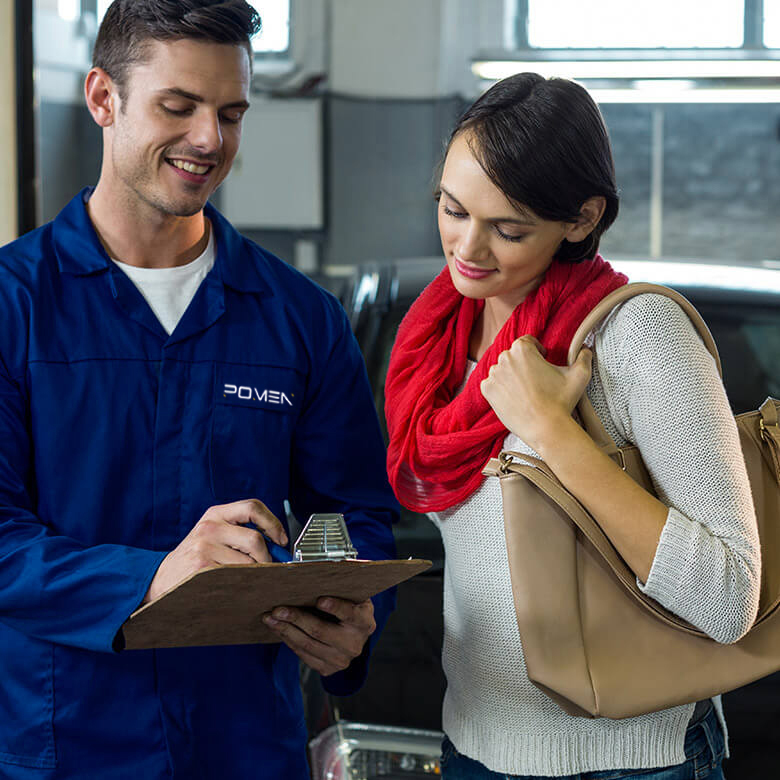 Don’t worry all of Pomen workshop merchants is certified and carefully selected to make sure your car is back on the road.